The below is a repost of a blog originally written and 2017, but it's so valuable we couldn't help but share again. You can find the original post here. I.T. departments are busy, and more often than not, stretched thin. So understandably it can be intimidating to approach them with a new solution idea to help the Finance department with chargeback and deduction processing. In their world, i's highly likely that corporate security, networking problems, and email issues take priority over a solution that would streamline the Finance department. Savings on headcount can amount to reductions of 80% or more in processing costs. 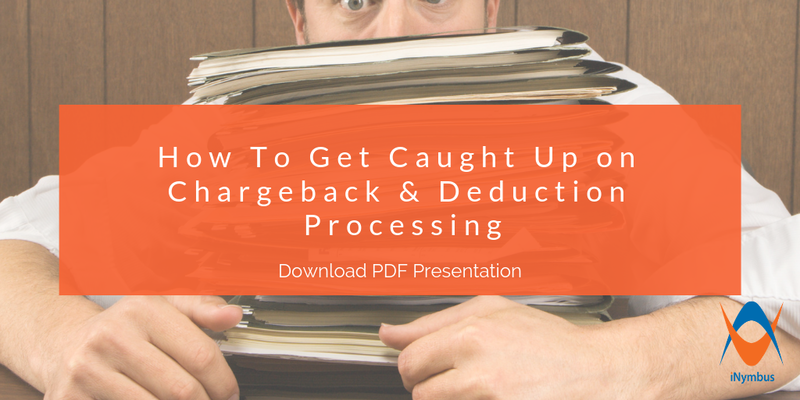 When sales increase, chargebacks grow, usually resulting in more manpower needed to process more deductions. With deduction processing automated, no increase in headcount is necessary. Recover lost revenue quicker. Processing deductions & chargebacks speed increases by more than 30X with automation. Revenue increase. Retailers make mistakes, and automated processing can result in 10% or more revenue increase attributable to chargeback and deduction errors. It's pretty clear that automating chargeback and deduction processing results in cost savings and revenue increase. Your whole company wins! But what about implementation? It will take months and a lot of effort, right? WRONG. We don't need I.T. to hold our hand. We work independently and with any file format or structure of data the A/R and chargeback data is in. This includes Excel, SAP downloads, and document PDFs. We are extremely experienced with the Accounts Receivable function and with all major A/R systems. No explanation needed from your systems people, we understand the data. We proactively look for changes by continuously monitoring all your retailer portals (Amazon, Walmart, Costco, Target, Sam's Club etc.) and quickly modify your deductions process to work smoothly with the inevitable portal changes. Our customers clients will tell you, implementation takes just weeks. It's a quick turn project that provides immense value to the entire company. We only utilized the strongest SSL security and encryption, so you don't have to worry about your data. We keep it safe behind the strongest of fire walls. If your I.T. 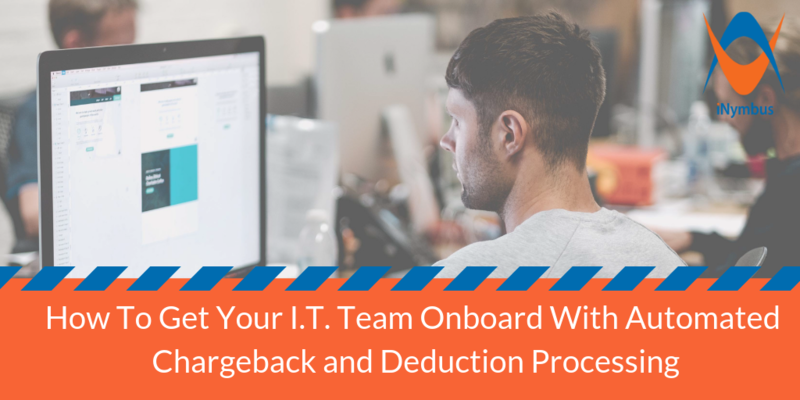 Team understands the above key points, we think they'd be convinced, and your desire to automate chargeback and deduction processing just may move up on their list of priorities. 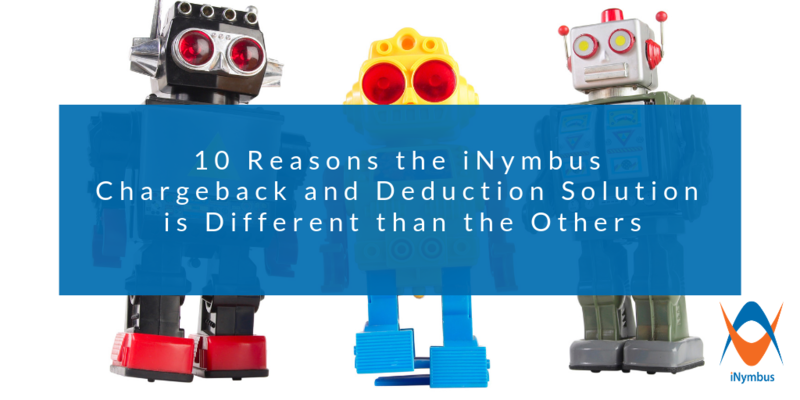 You also may find our recent case study on how multiple distributors automated their Walmart deductions helpful, as our distributors implemented iNymbus DeductionsXchange in a matter of weeks!